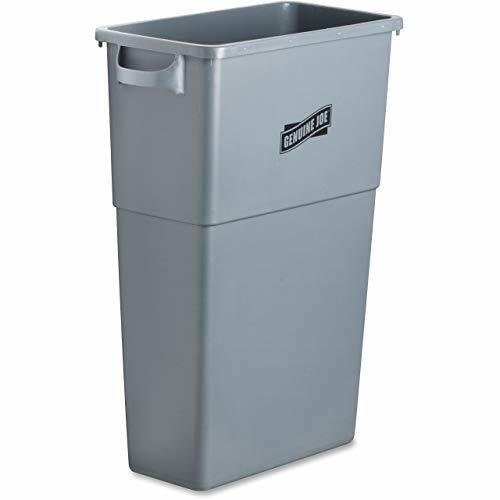 Space-saving Waste Container holds 23 gallons of trash, but protrudes less than 1' from the wall. Sleekly designed container fits under most work tables. Built-in handles allow easy transport and emptying. Waste container includes a built-in bag cinch. A 20-1/4" wide Genuine Joe lid fits neatly on the 20" wide opening and is sold separately.